One of my favorite things about living in Chicago is the summer music scene. It’s the reason why, for three months, I forget about the fact that local rock bands in the Windy City have to help us cope with nasty Midwestern blizzards and sub-zero temperatures. 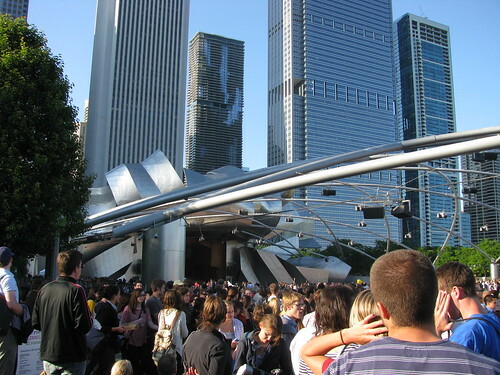 And since it began three years ago, one of the best places to see live music for free in Chicago is the Downtown Sound music series at Millennium Park. The series includes 10 free concerts that start at 6:30 p.m on Mondays and runs from May 23 through July 25. This year’s line-up includes a great mix of indie rock, pop bands and rock stalwarts. What do you think of the lineup? How does your city celebrate live music during the summer? Do you have a Downtown Sound concert story to share?